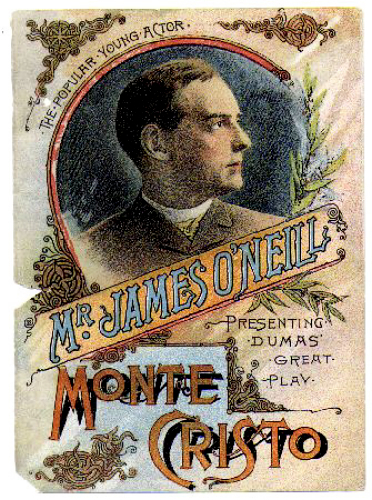 O’Neill, James (1849-1920) Irish-born American actor chiefly remembered for his most famous role, that of Edmund Dantes, the Count of Monte Cristo, and as the father of the playwright Eugene O’Neill. Born on November 15, 1849 in Kilkenny, County Kilkenny, Ireland, James was brought to America at about the age of five and raised in poverty in Buffalo and Cincinnati. 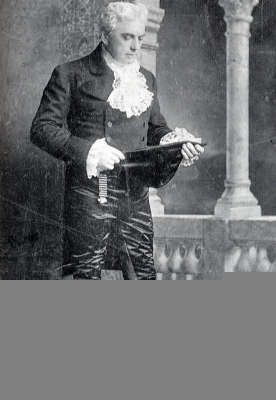 In 1867, age the age of 22, he gave up work in a clothing store to become a supernumerary (walk-on) at a Cincinnati theatre during an engagement there by Edwin Forrest. He served his acting apprenticeship over the next few years, working in various cities. During this time, he had the great fortune to work with the great stars Edwin Forrest, then at the end of his career, and in a supporting role with Joseph Jefferson in Rip Van Winkle, Jefferson’s signature play. He spent a couple of seasons as the leading man at the Academy of Music in Cleveland, where a critic labeled him "the patron saint of the matinee girls." 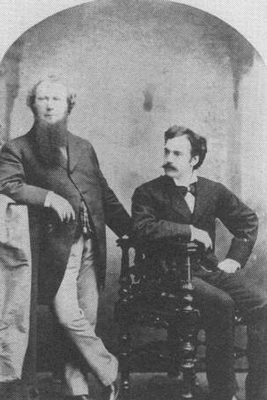 When in 1872, James Hubert McVicker, Chicago’s leading impresario in the nineteenth century, invited O’Neill to join the highly regarded McVicker’s stock company, he ascended to the top ranks of the American stage. 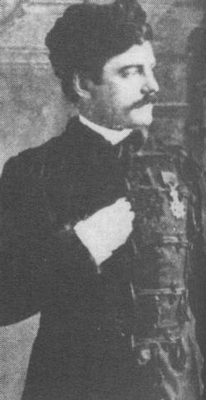 McVicker’s son-in-law happened to be Edwin Booth, the leading American classical actor in the last half of the nineteenth century. With his own theatre in financial difficulty, Booth took the opportunity to accept his father-in-law’s open invitation to guest star in Chicago. Booth’s arrival in Chicago in March 1873 led to the greatest moments of James O’Neill acting career. Booth offered O’Neill the role of Macduff to his Macbeth. Critics and audiences were only lukewarm about Booth but went wild over O’Neill’s performance. 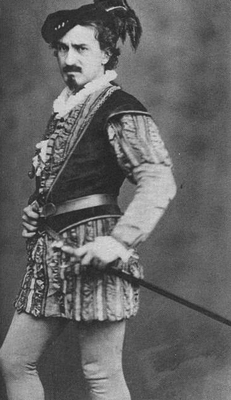 Later that month, O’Neill played Laertes to Booth’s Hamlet. When Julius Caesar was presented, Booth alternately played Marc Antony, Cassius and Brutus, and O’Neill stepped in as needed as Marc Antony or Brutus. When McVicker imported Adelaide Neilson to play Juliet, O’Neill was cast as her Romeo. She told the press at the time that she was "fortunate to have so excellent a Romeo." 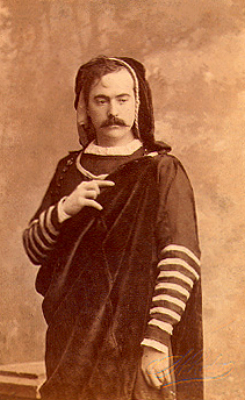 O’Neill began the 1873-74 season at McVicker’s playing Macbeth opposite the formidable Charlotte Cushman’s Lady Macbeth. In 1874, when Booth’s personal life was at its lowest, he returned to McVicker’s for a two month stay. He performed Othello, and offered to share the two lead roles of Othello and Iago with James O’Neill. Booth said of O’Neill Othello: "You couldn’t have done it better." In his son’s play Long Day’s Journey into Night, the fictional James Tyrone describes that moment with Booth as "That night was the high spot in my career." 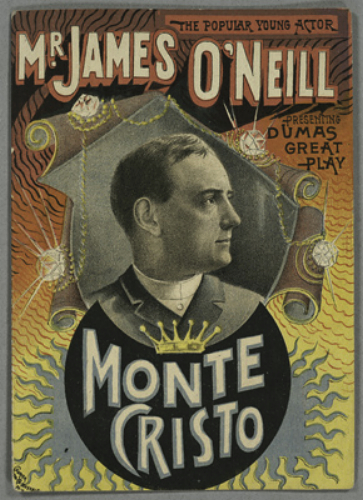 Though he went on to many other important roles, there was no more thrilling time for James O’Neill than when he was twenty-five, at the height of his powers, dueling night after night with the great Edwin Booth on stage in Chicago. 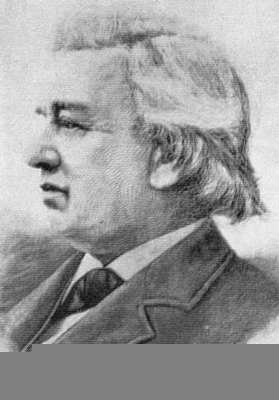 His work with McVicker’s earned him the chance to create his own company, which he did in the fall of 1874 at Hooley’s Theatre. The following Spring, Hooley’s company toured to San Francisco where his Chicago admiration was seconded. 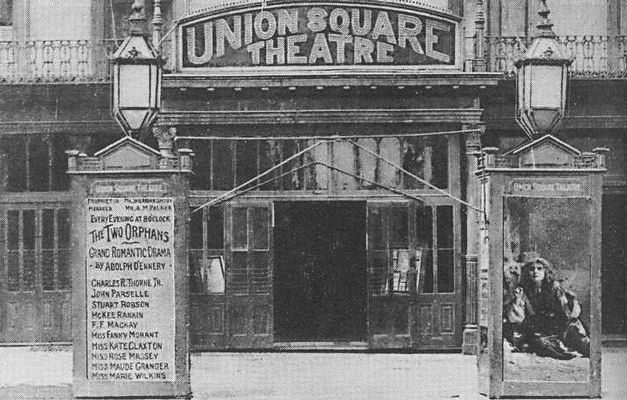 After a year on the West coast he received an invitation to play in New York as a member of the Union Square Theatre, the foremost stock company in the city. Under the aegis of A.M. Palmer he remained there for two years where he excelled as Pierre Frochard in The Two Orphans. In 1877 he left for San Francisco, where during his three seasons there he played numerous parts, including that of Jesus Christ in Salmi Morse’s controversial Passion Play. The role which caused local authorities to arrest him under ordinances forbidding impersonation of the Diety. In 1883, he first appeared in New York in the role with which he was identified ever afterward, Edmund Dantes in The Count of Monte Cristo. Although he subsequently played such roles as D’Artagnan in The Musketeers (1899) and the title part in a revival of Virginius (1907), his public demanded only his Monte Cristo and he obliged. For a time in his career when he appeared opposite the great stars of the day, it appeared that O’Neill would attain similar stature, that he would become Booth’s successor. His promise faded, however particularly after he had, as his son said, ‘the good bad luck’ to find a gold mine in Monte Cristo. 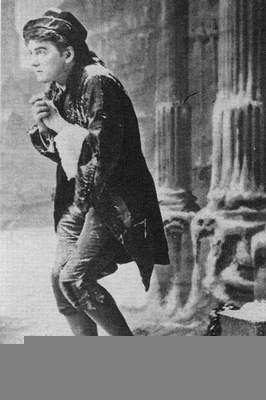 Initially O’Neill, who had suffered a hungry childhood, rejoiced in his prosperity as the Dumas hero, but as the decades piled up and the audiences flocked to see him only when he played Edmond Dantes, the role became the straightjacket that gradually diminished his talent. The role eventually earned for O’Neill nearly $1,000,000 for more than 6,000 performance throughout the United Sates over a 30-year period. Fragments of his history are woven into his son’s devasting family portrait, Long Day’s Journey into Night. He was a florid, emotive actor of a supercharged romantic school. His adherence to this older, passing style led to problems when he was called in to direct the American premier of Before Breakfast, an early work by his son Eugene. James O’Neill life was haunted by several affairs. Once with a young married actress Louise Hawthorne, who along with her husband were members of the Hooley’s Theatre Company in Chicago. On June 27, 1876, Louise plummeted to her death from her sixth floor room window into the interior courtyard of Chicago’s Tremont House. Speculation and rumors followed that Louise Hawthorne had killed herself because James O’Neill wanted the relationship over. Whether suicide or accident, Louise’s death undoubtedly haunted O’Neill the rest of his life. The second affair came while he was acting in Cleveland in 1871. He had taken up with a young actress Nettie Walsh, and the two lived together there. After James moved to Chicago, Nettie occasionally visited. Before James left for San Francisco, she came to Chicago with a little boy, claiming him to be O’Neill’s son. James vehemently denied he was the father and refused Nettie the financial help she asked. When she went back to Cleveland, where she was living with another man, she began calling herself Mrs. James O’Neill. 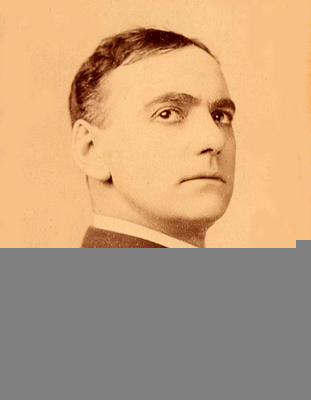 After James married Ella Quinlan, the daughter of a friend of O’Neill in Cleveland, in June of 1877, James embarked on a new tour with the Union Square Theatre Company in a play called Forbidden Fruit and brought his wife along. But when the O’Neill arrived in Chicago in September, they were met with a shock. Nettie Walsh had filed suit for divorce, claiming that she and James had been married in Cleveland, and that her son Alfred was the result of their union. Nettie Walsh’s suit went to trial in Chicago Superior Court in October. In November, the judge ruled that there was insufficient evidence to prove marriage, deciding against Nettie, but ordering James to pay Nettie’s attorney fees and $100 a month in support. But the affair kept coming back to shadow the O’Neill’s. In 1881, when James was once again appearing at Hooley’s in Chicago, Nettie appeared at the stage door with her son, demanding more support. At one point, James and Ella offered to adopt the child, but nothing came of it. In 1897, when James’ son Eugene O’Neill was in boarding school, his erstwhile brother again entered the family’s life. Alfred who had kept the O’Neill name for himself and brought suit to legitimize himself and clear his mother’s name wanted $20,000 in damages. The case was in and out of court for three years before James finally ended it by offering Alfred a settlement. James O’Neill and Joseph Haworth were each stars in their own right and as a consequence they never acted together. But they were contemporaries, professional rivals, and friends. Their respective careers were compared in their own time, and they bear comparing now. Born in 1849, O’Neill was six years older than Haworth. Both men had to go work at an early age to support a single mother and younger siblings. Also, they both had remarkable ascensions artistically and professionally. Edwin Booth and John McCullough were mentors to young O’Neill and young Haworth, and they predicted great careers in the classics for each of them. That they wound up having very different careers can be traced to several causes. First, O’Neill’s childhood was marked by paternal abandonment, grinding poverty, and no formal education whatsoever. Haworth’s hardships began at age ten, after his father’s death during the Civil War, and never involved the near-starvation that young O’Neill suffered. O’Neill was haunted by a fear of the poor house and this led him to turn his back on the classics and devote himself to performing the cash cow Monte Cristo. Joe had his demons too, but they took the form of an artistic guilty conscience. Whenever, he found himself acting in melodrama, drawing room comedy or exclusively in one part, he would break free and return to the great Shakespearian roles. Contemporary journalists noted this difference. Joe was never as wealthy as James O’Neill or as popular, but he was certainly more respected in his time. Amy Leslie in her book Some Players devotes a chapter to O’Neill and Haworth, writing charmingly of their respective relationships with John McCullough. And although both men were protégés of McCullough, it was O’Neill who was in the true McCullough mode with his barrel chest and heroic acting style. Haworth was smaller and slighter, resembling Edwin Booth and acting in the classical mode. They both were matinee idols and heartthrobs but their appeal was very different. This must also partly account for the very different directions that their careers took.